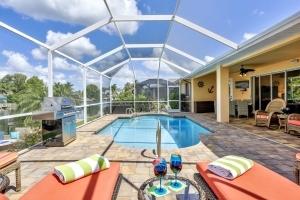 We serve the popular Cape Coral and Fort Myers vacation rental home market. 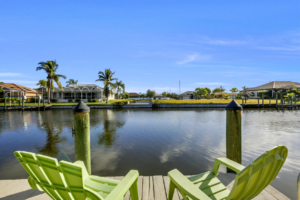 We manage, maintain and rent vacation properties in the Southwest region of Florida’s Gulf Coast, covering Cape Coral, Fort Myers and Fort Myers Beach. Churchill Property Services also offers a full range of property management services to the ‘absentee’ home owner provided by professionals who truly understand the vacation home market and its’ demands. We want your investment to be the best decision you ever made. We are dedicated to giving you, our clients, peace of mind, safe in the knowledge that your property will be well cared for by people who are local to the area and experts in second home management. We thoroughly enjoyed our visit here at Villa Marchio. The house is beautiful, clean & well stocked with all the necessary items. We loved the lanai and the dock. The water view is breath-taking. Thank you for your timely response on anything we needed. Thank you for making us feel Welcome. You & Neil have been great to work with.Janice & Paul. 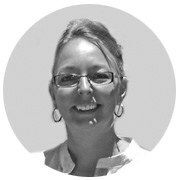 Keely and Neil are great to work with and respond to e-mails in a timely fashion. 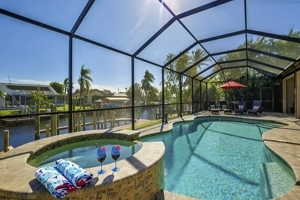 Excellent home, very well equipped, spotlessly clean, perfect location and sun all day at the pool/dock. As always Churchill Properties were super efficient, friendly and very helpful. This is our 6th visit to the area and so far one of the best rentals and Neil and Keely made the process smooth and efficient. I would highly recommend Churchill for future vacation considerations. Churchill PS were excellent to deal with. The on line booking process was easy. We needed to change our dates and that was accommodated without any fuss and without an administration charge. We had one problem in the house-with the air conditioning system-and that was sorted within a matter of hours. Would fully recommend this house and Churchill agency. They provide a service which is both friendly and professional.